The Motor Sports Association (MSA) hosted a rather special event in the Royal Automobile Club on Pall Mall (that's in London, England, by the way) on Saturday night, for the annual MSA 'Night of Champions' awards evening. 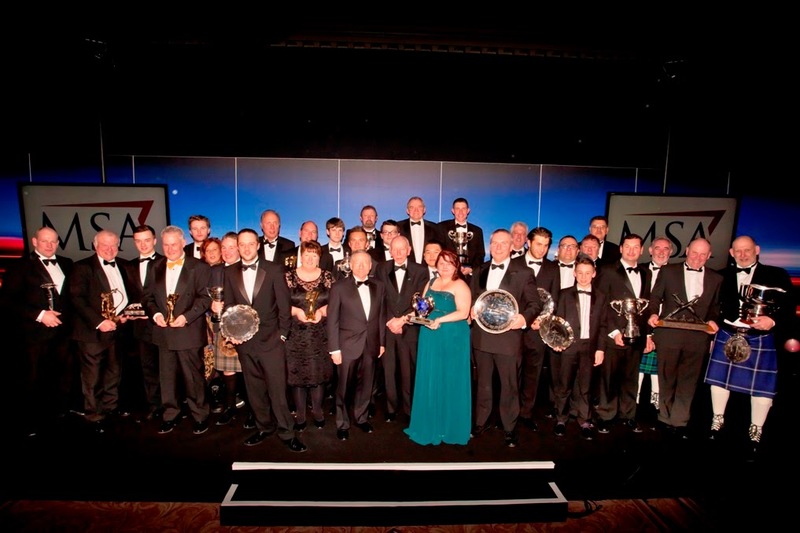 FIA President Jean Todt and Formula 1 legend John Surtees presented the awards to the 2014 champions and award winners. Amongst those in attendance were some Burns Night refugees including Donald Peacock (doesn't he polish up well?) and Norman Gowans from Solway Car Club. As has previously been reported, Solway CC won the Car Club of the Year award and looking at the size of the cup, I wonder who will fill it when they get home. The other chap in the kilt is Colin Calder who won the MSA British Sprint Championship. What's the betting Jean Todt is away home to look up Dundrennan on a map.